A red shoe was thrown during a scuffle between Cardi B and Nicki Minaj on Friday night during New York Fashion Week. Both women were attending the Harper’s Bazaar Icon event at The Plaza hotel when an incident happened after the two women encountered each other after leaving the red carpet. 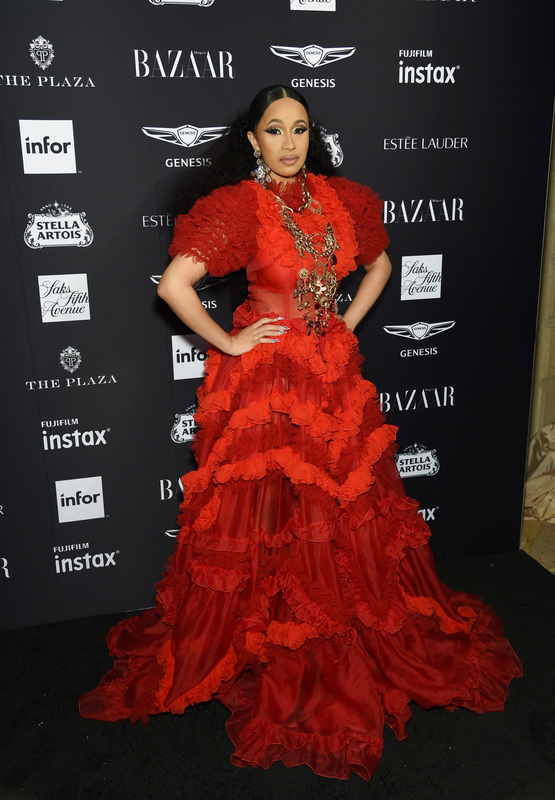 Access eyed the incident unfolding and while it is unclear what happened between the two women, it appeared to turn heated and led to Cardi B’s swift exit. Access’ guest correspondent at the event, Lilliana Vazquez, said from the red carpet, press could hear some screaming and shouting just before 11 PM. After making her way over to where the noise was coming from, Vazquez saw that Cardi B’s dress was ripped and she witnessed the “Bodak Yellow” performer take her shoe off and throw it. Things went down between @nickiminaj and @iamcardib last night and a shoe was thrown! @accessonline and @lillianavazquez caught all the action! The incident was over quickly and Cardi B left the scene. On the way out photographers captured what appeared to be a knot on Cardi’s head. A public information officer from the NYPD confirmed they responded to an incident at The Plaza (where the Icon event was being held) as they had police in the area. But, no party filed a police report. Cardi B appeared to address the incident on her Instagram account in the early hours of Saturday morning, although she didn’t mention Nicki by name. Cardi continued her post, slamming the unnamed person for allegedly commenting on her parenting. “But when you mention my child, you choose to like comments about me as a mother, make comments about my abilities to take care of my daughter is when all bets are f***in off! !” she wrote. Reps for Minaj and Cardi B didn’t immediately respond to requests for comment from Access.